Thailand is and always has been one of the most exciting and beautiful holiday destinations. It welcomes countless tourists throughout the year. 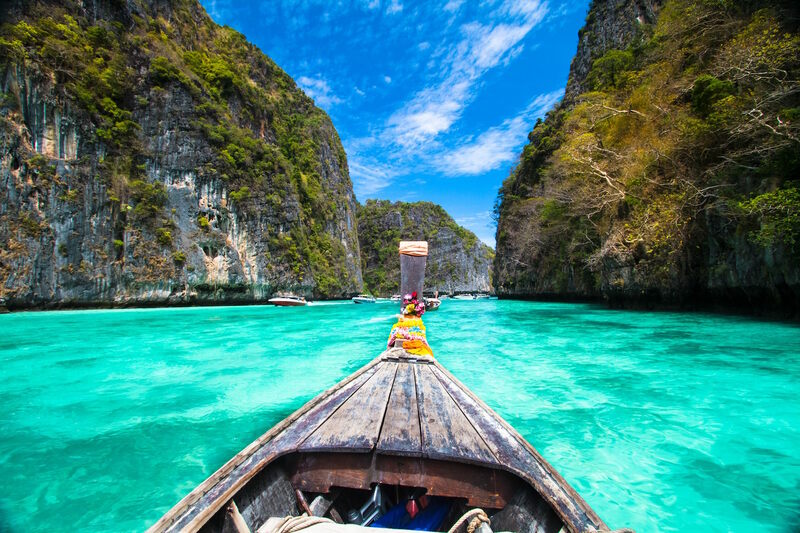 But if you still haven’t made your way to this tropical paradise and hope to do it soon, here are a few expert tips that will help plan your first trip to Thailand. One of the most important things you must take care of after booking flight tickets and hotel rooms is the Visa. India is one of the 19 countries that are allowed Visa on arrival in Thailand. So, even if you plan your first trip to Thailand at the last minute, don’t fret, you could always get your Visa at the airport on reaching Thailand itself. Thailand is a tropical land, so needless to say you’ll be needing clothes that are light as well as comfortable. The country does face occasional rainfall so make sure you carry an umbrella or windcheater. 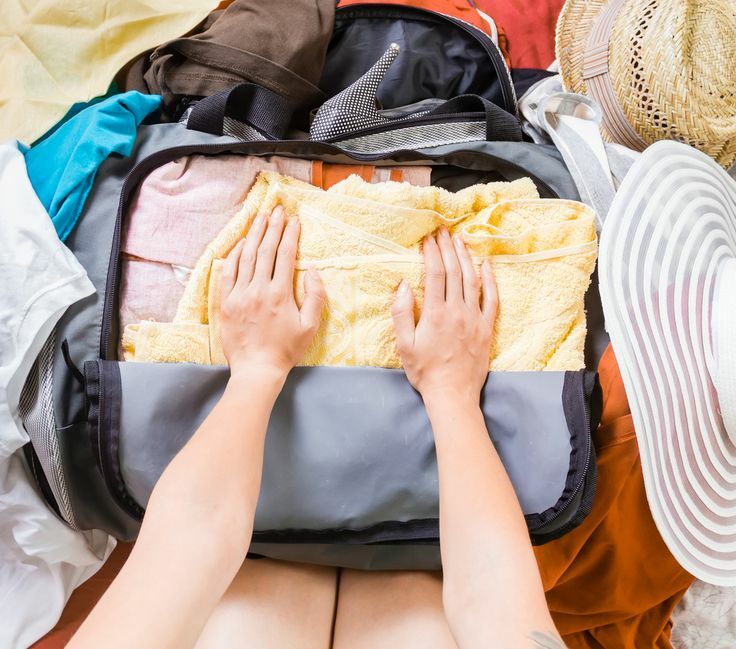 Also do ensure you pack clothes that cover your knees and shoulders as wearing shorts, sleeveless clothes and footwear that doesn’t cover your entire foot, is considered inappropriate in certain places. The currency of Thailand is the Thai Baht. Make sure to keep an eye on the exchange rate and get some of the local currency before heading there. You’ll also need to keep a few Baht handy to tip those who assist you with your baggage and to pay street vendors. Thailand is full of architecturally stunning temples, spread all through the country’s landscape. If you plan on visiting them all, it’ll surely be a difficult task. So narrow down the list to a few that are close to your location. 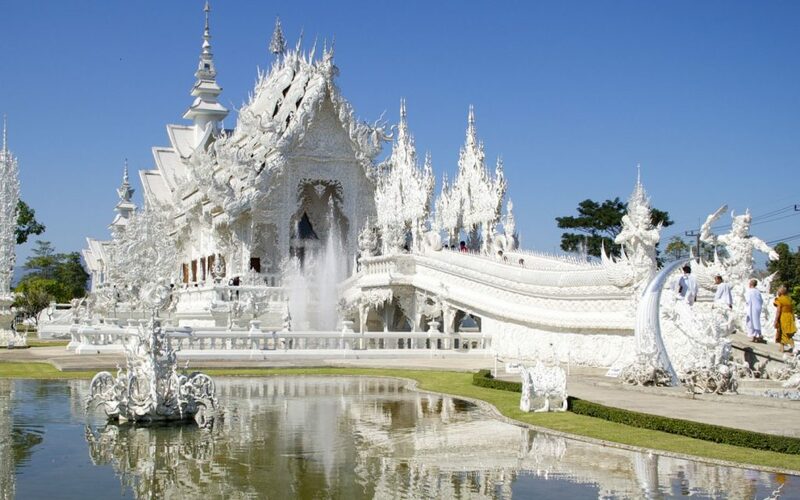 Wat Arun in Bangkok, Wat Phu Khao Thong in Ayutthaya and Wat Rong Khun (White Temple) in Chiang Rai are a few of the famous temples you could visit. Most Thailand tour packages will include a few of the famous sight-seeing itinerary, so you’ll definitely not miss the prominent ones. 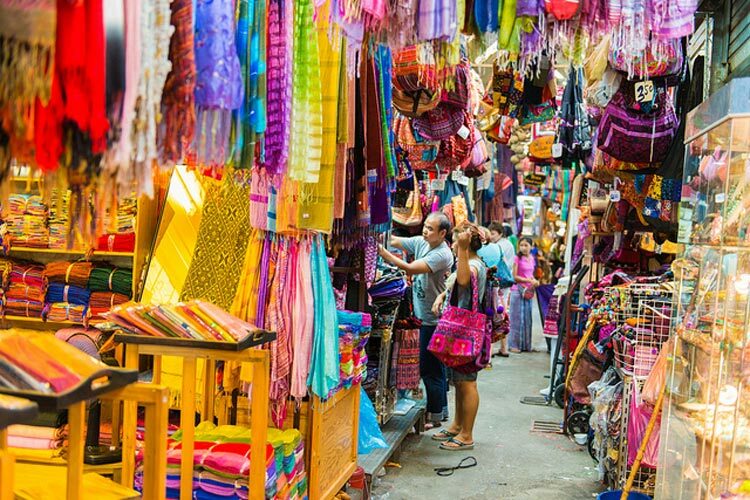 Ditch the shopping malls for a change and hit the streets to enjoy a unique shopping experience. You get some of the best products for unbelievable prices, but only after bargaining your way to the right price. Thailand is also a hotspot for knock-offs, so make sure to keep an eye out for those. 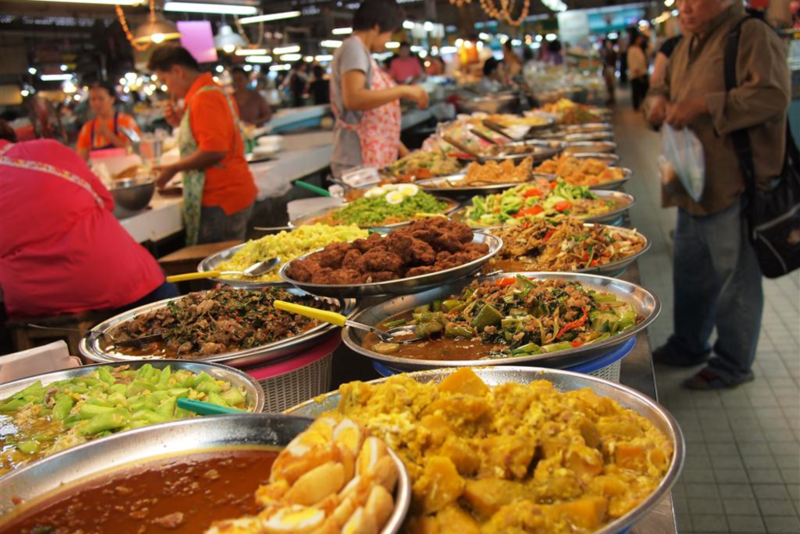 Another thing that makes Thailand a much-loved holiday destination is its amazing street food. Also ensure to eat only from those places that have a lot of crowd. The more the crowd, the fresher is the food served. Just getting a whiff of the fresh lemongrass or sweet basil is sure to make you salivate. There’s a lot more to Thailand than its amazing street food, mind-blowing attractions and crazy shopping, and that is its beaches! 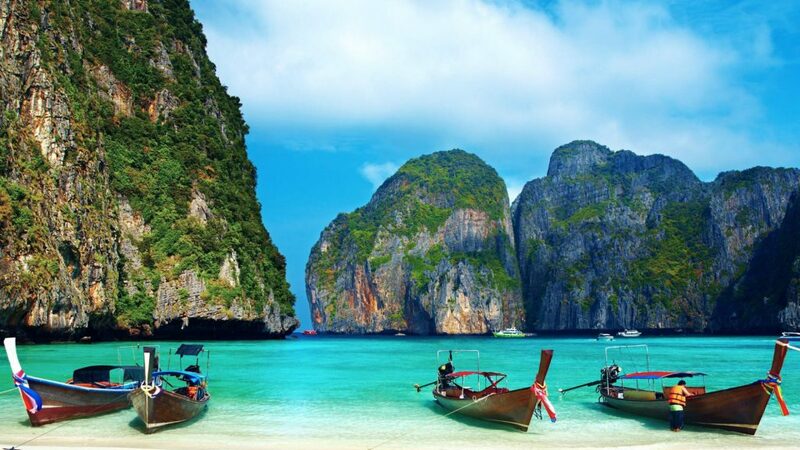 When you plan your Thailand holidays, make sure you do not miss the beauty of Thailand’s beaches. Some of the must visit beaches are Koh Samui, Koh Phangan and Koh Tao. They’ll welcome you with the grandest of views and are sure to leave you mesmerized. Hitting these shores is definitely a nice way to soothe your soul with the calm sea breeze. Mountainous and beautiful is Thailand’s second largest city. It is full of art, festivals, music and culture. You can go elephant trekking and take a Thai cooking class. The place is fantastic, peaceful and the food is awesome too! Thai people are very welcoming, understanding and forgiving. The most important thing is to maintain a ‘Mai Pen Rai’, a no worries attitude. When in Thailand, keeping your cool will yield the best results for everyone involved. Avoid touching anyone on the top of the head and avoid pointing your feet at anything. The top of the head is considered sacred and the feet are considered the dirtiest part of the body. Now that you’re armed with great tips that will make your travel simpler and relaxed, make sure you go all out and enjoy your first trip to Thailand. Thailand, one of the most exciting & beautiful holiday destinations. Here are a few tips that will help plan your first trip to Thailand!